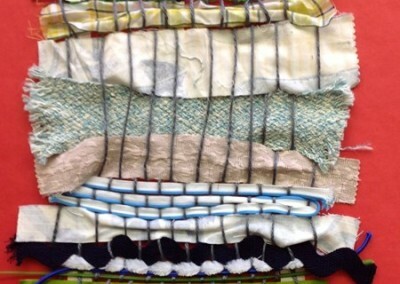 Artists are inspired by the landscapes they live in and thus, art from different cultures often reflects the region of origin. 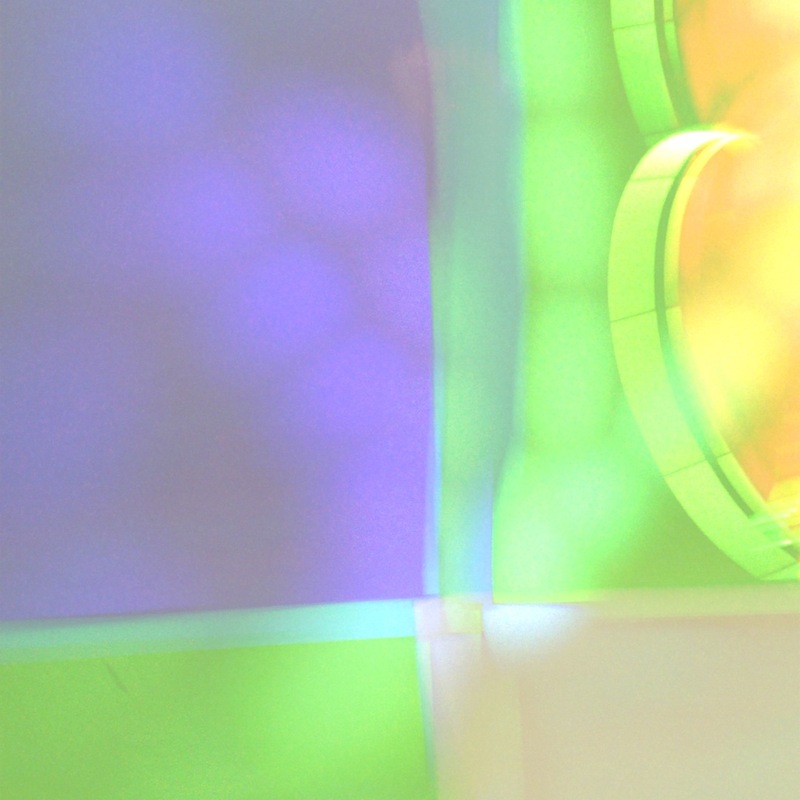 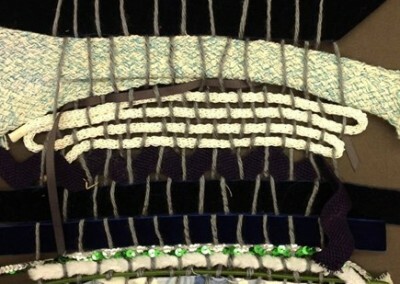 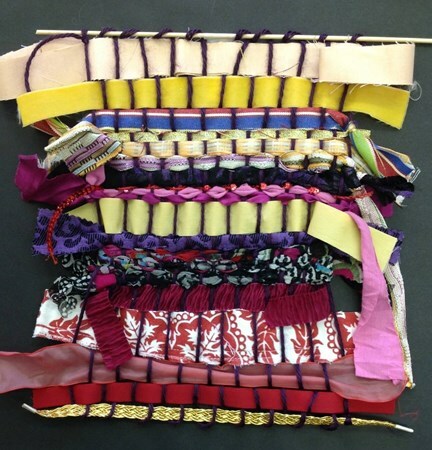 An artist’s access to resources influences the type of art they create. 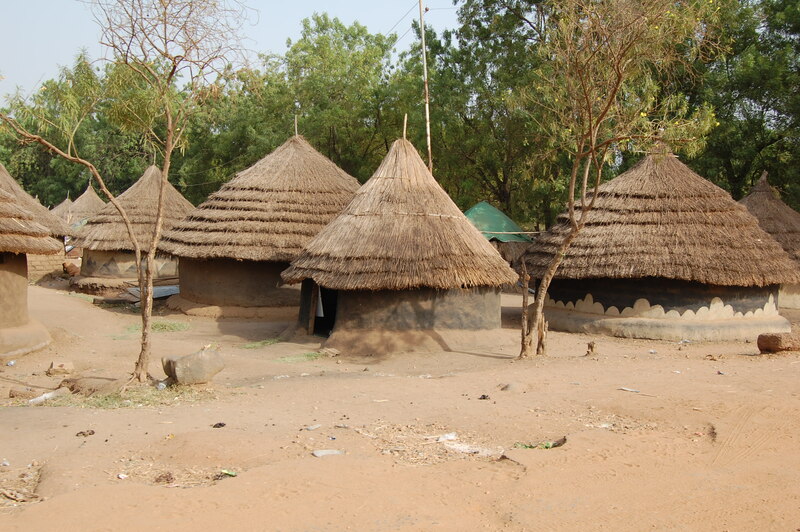 Additionally, natural resources impact the extent to which different cultures participate in trade and cultural dissemination. 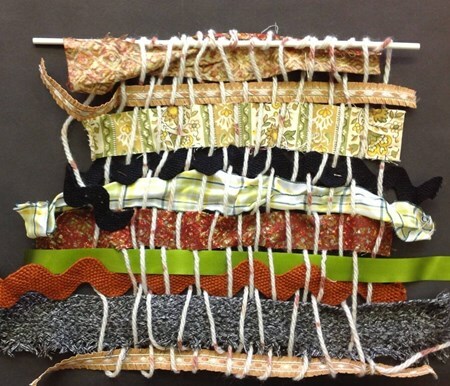 Art can be both useful and beautiful. 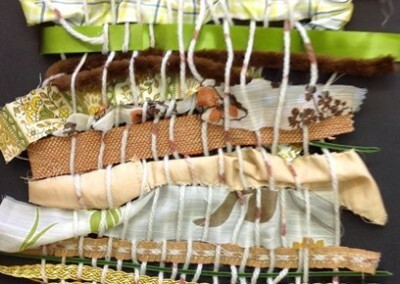 It is a hallmark of civilizations throughout history to add artistic details to the objects and tools they use to improve the quality of their day-to-day lives. 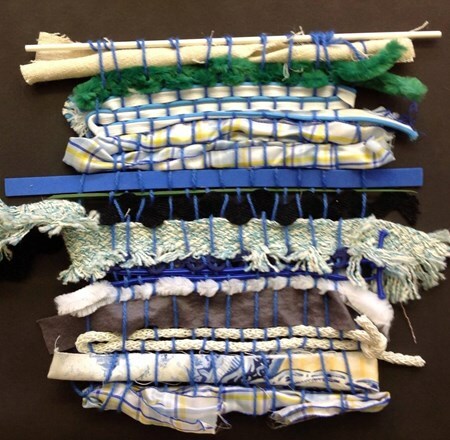 Students were challenged to apply grade-specific cross-disciplinary knowledge while developing their artistic skills. 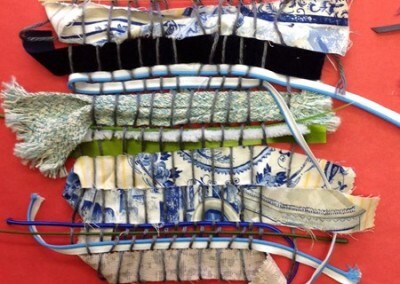 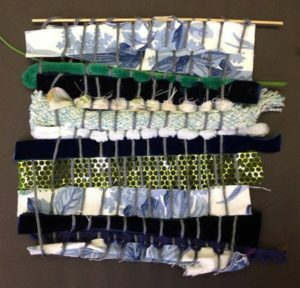 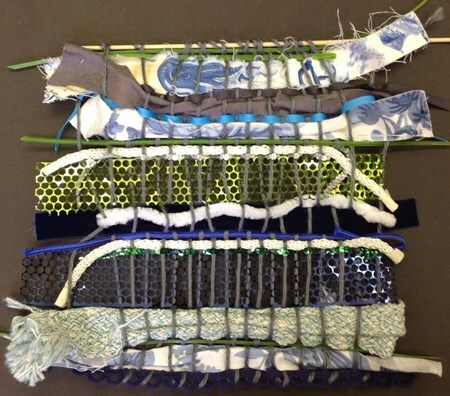 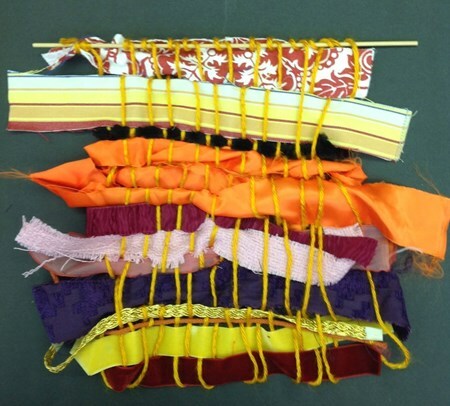 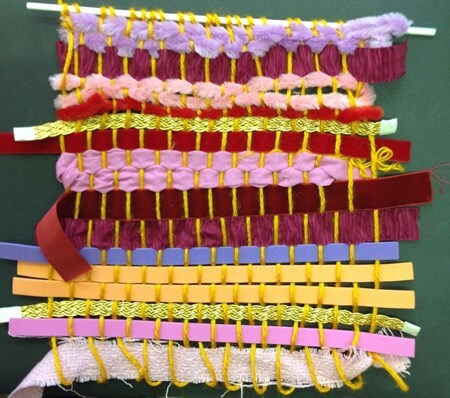 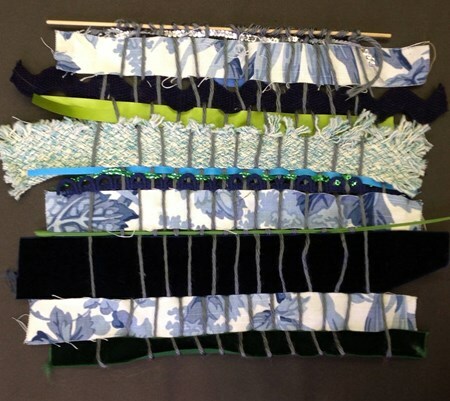 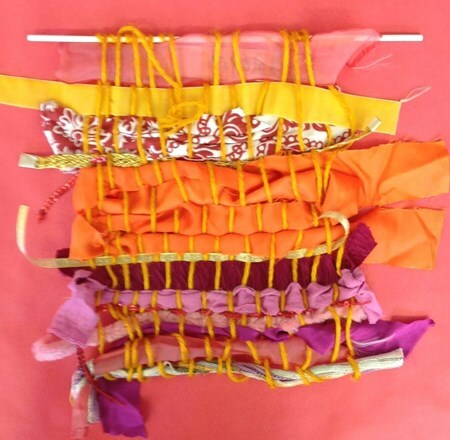 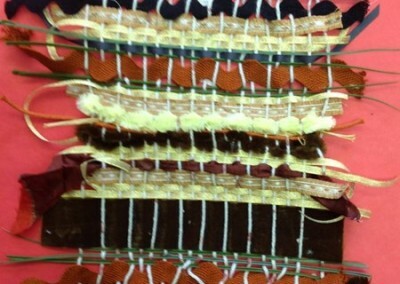 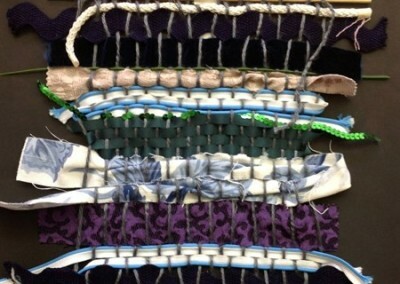 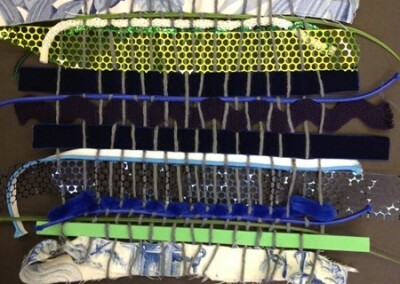 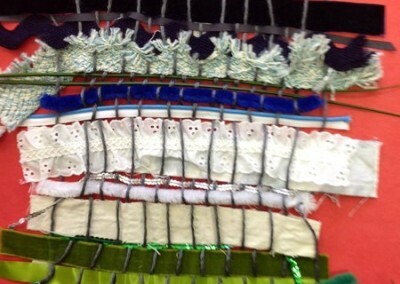 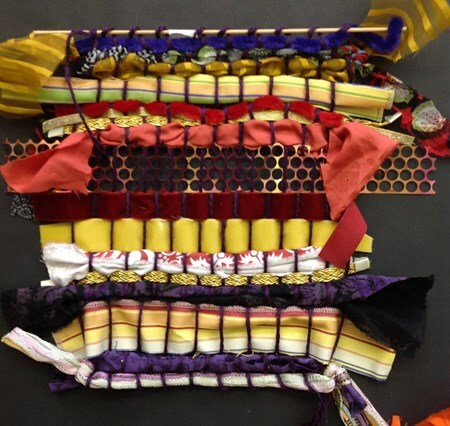 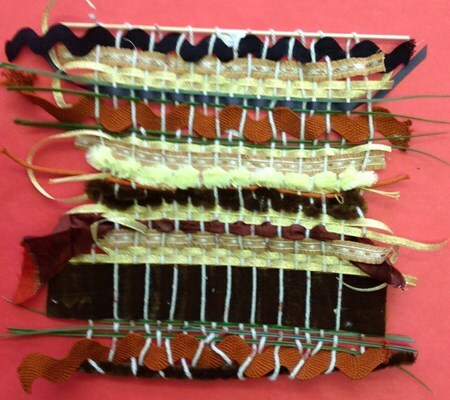 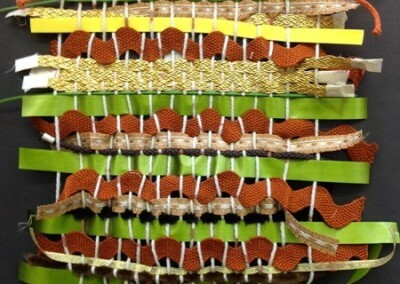 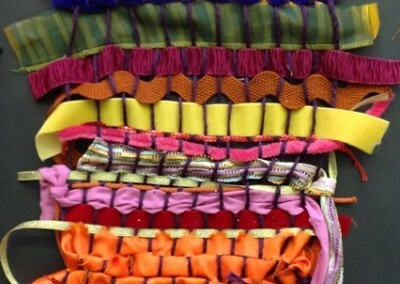 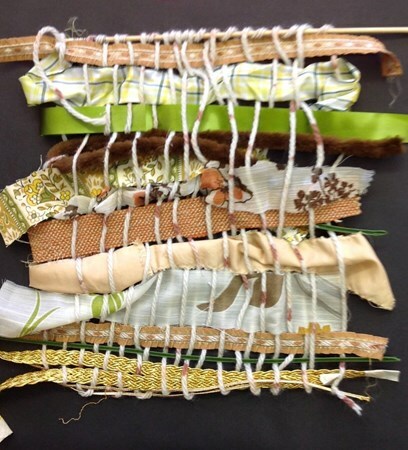 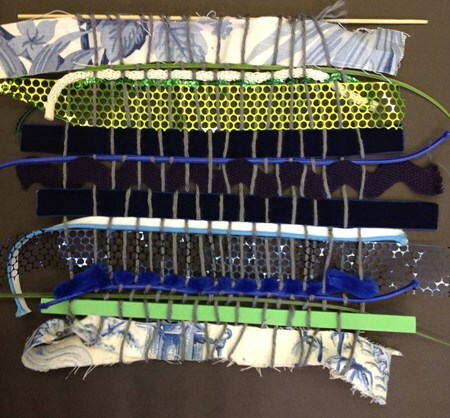 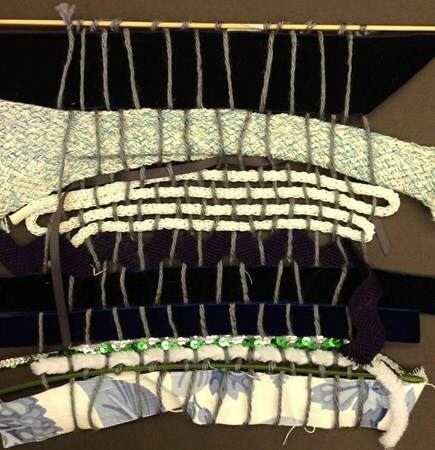 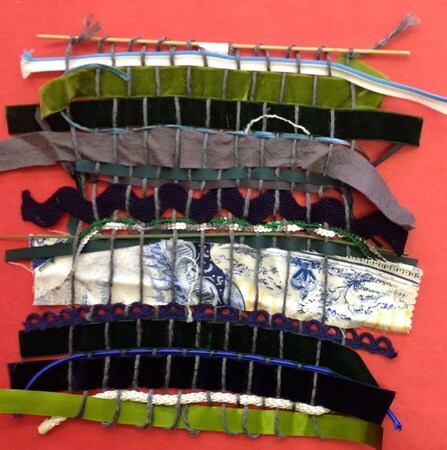 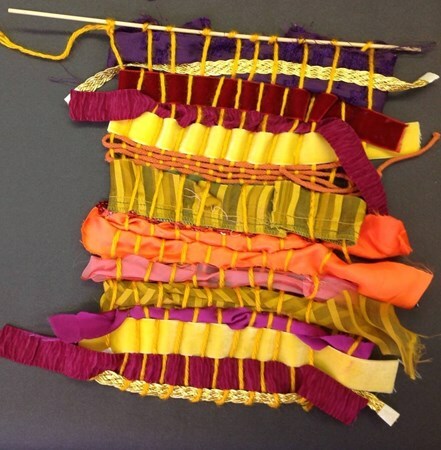 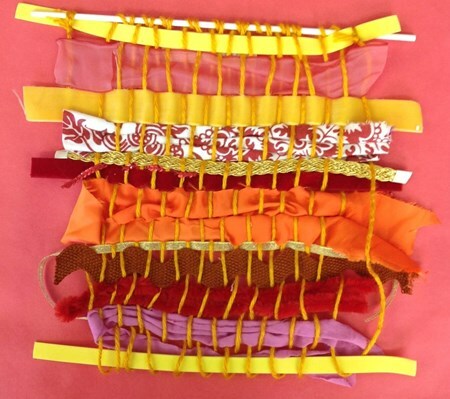 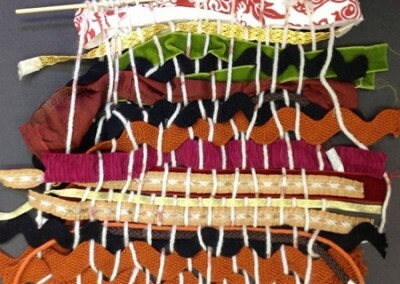 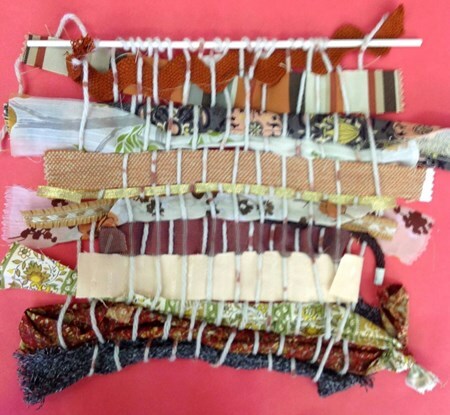 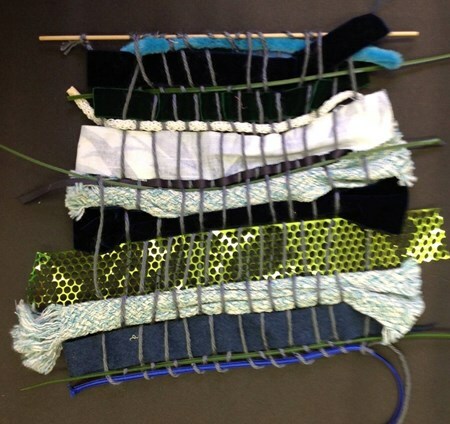 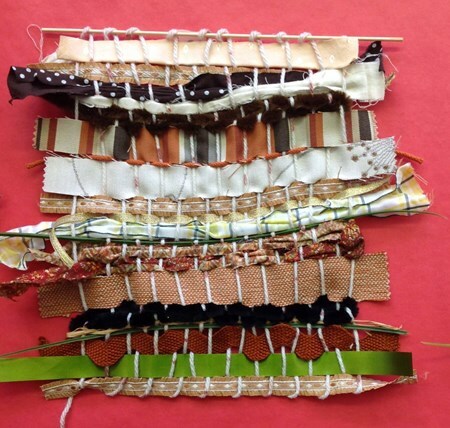 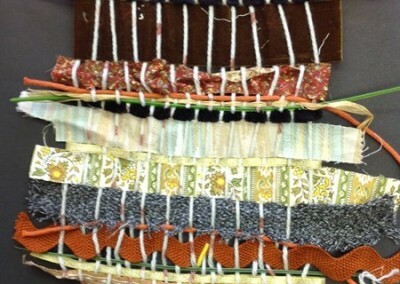 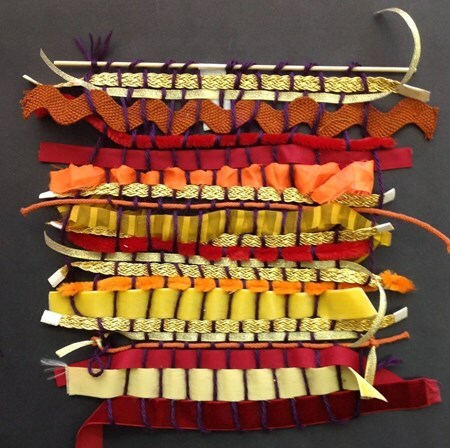 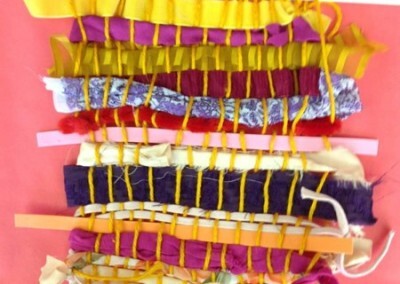 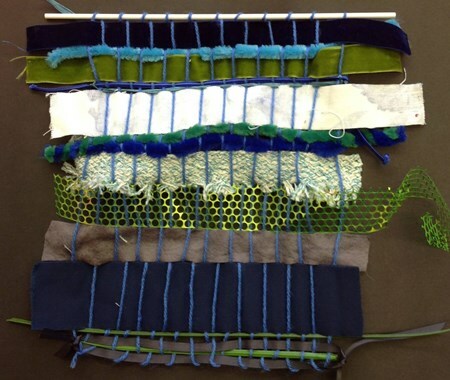 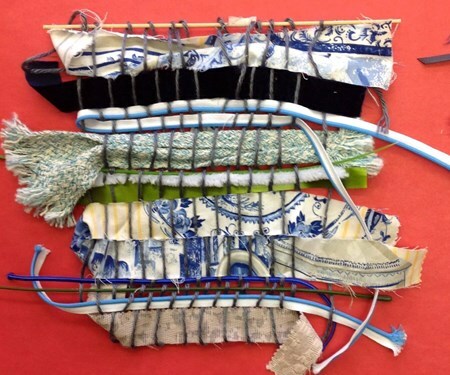 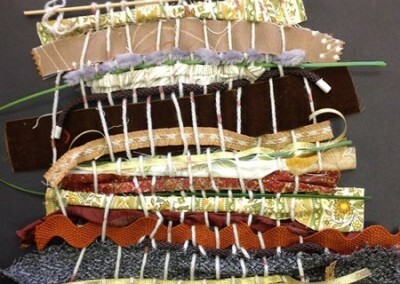 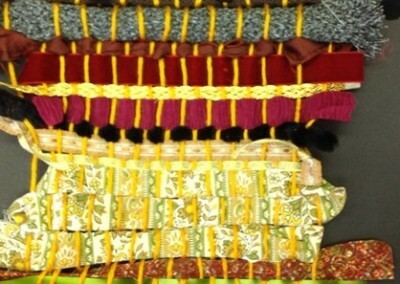 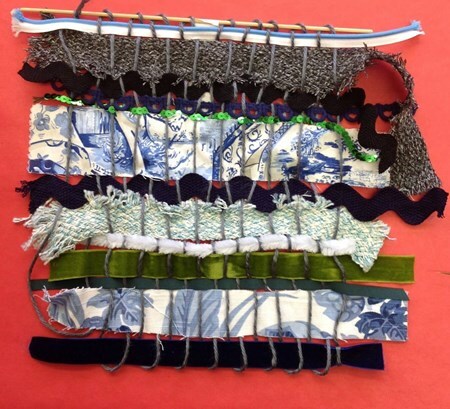 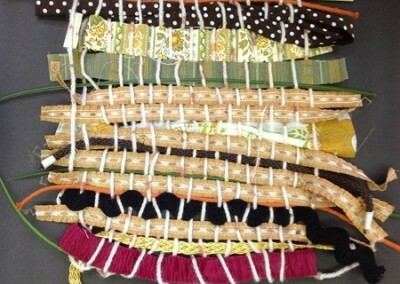 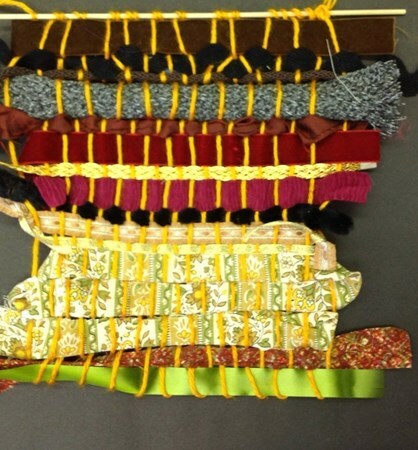 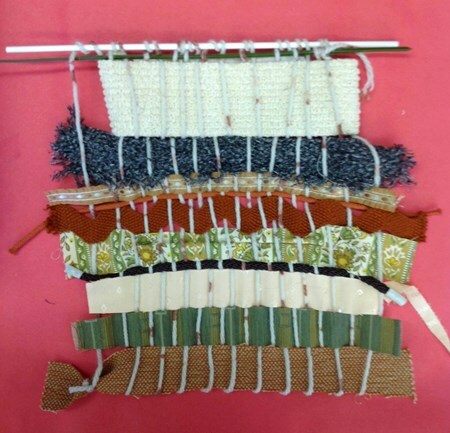 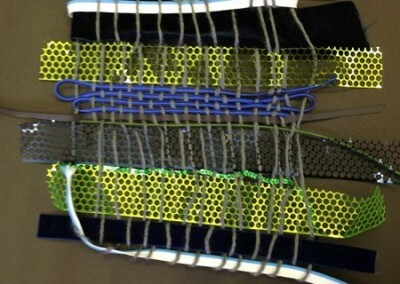 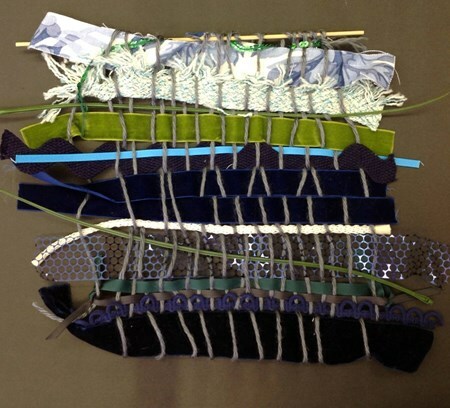 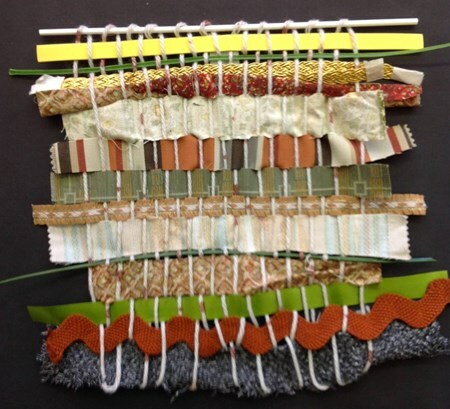 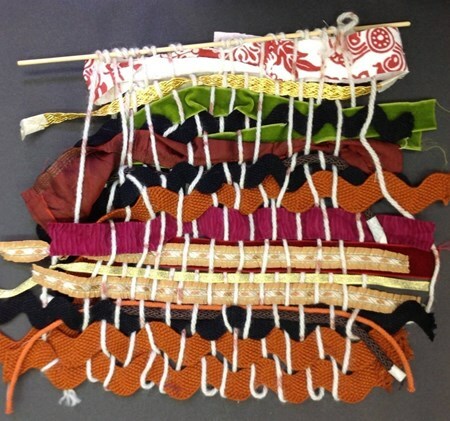 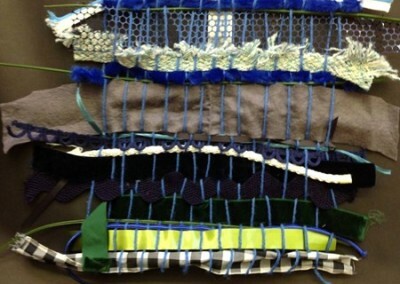 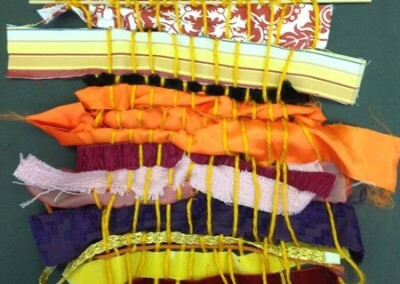 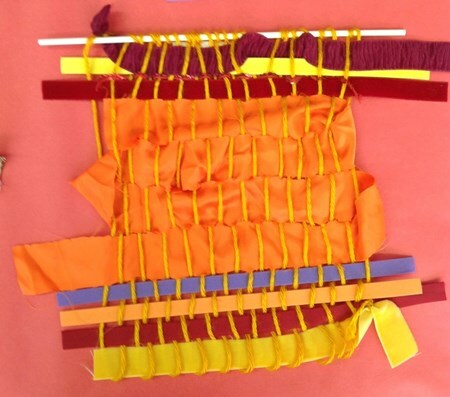 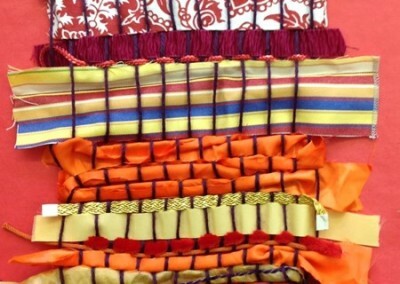 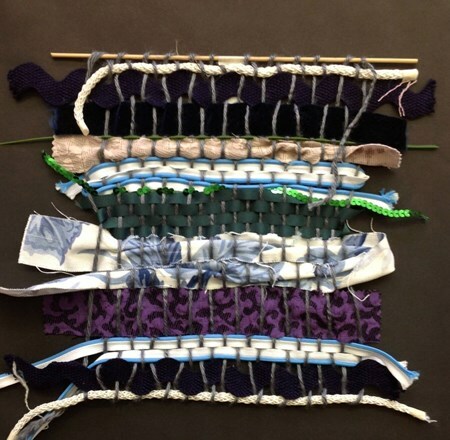 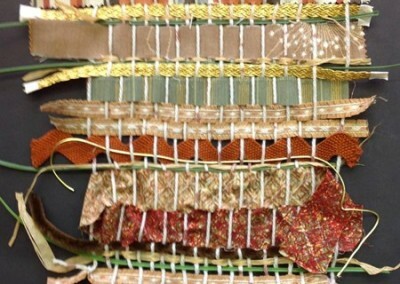 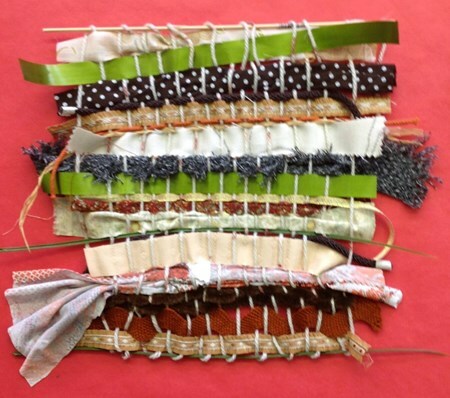 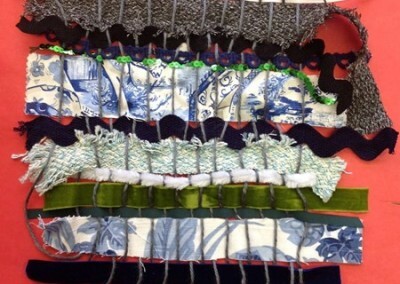 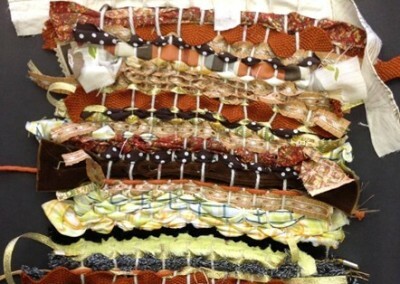 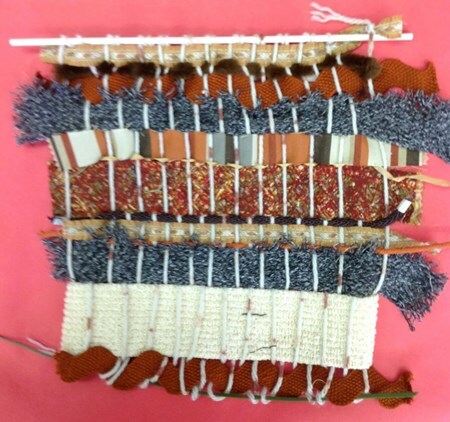 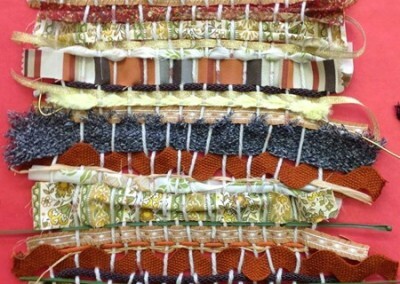 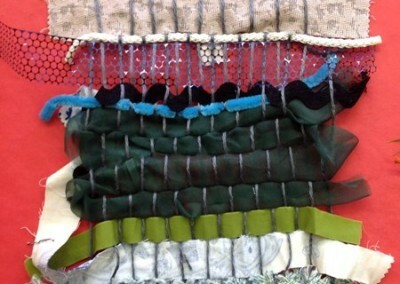 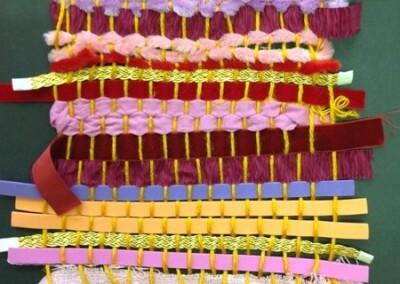 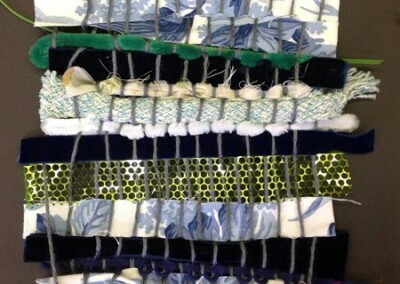 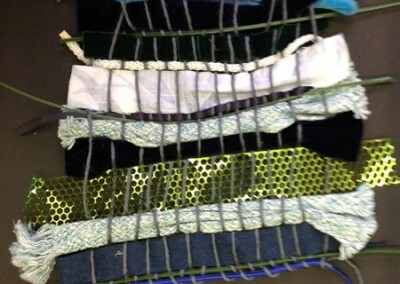 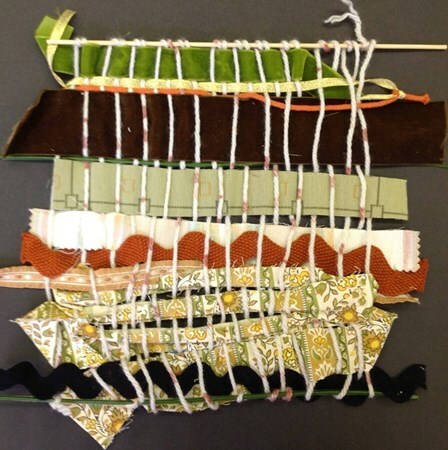 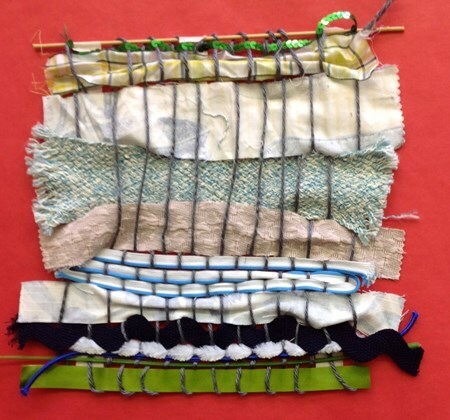 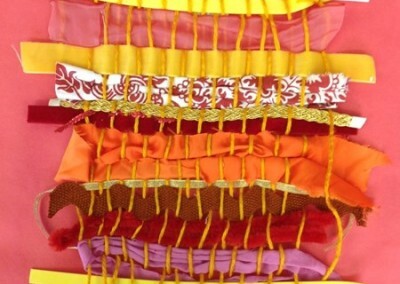 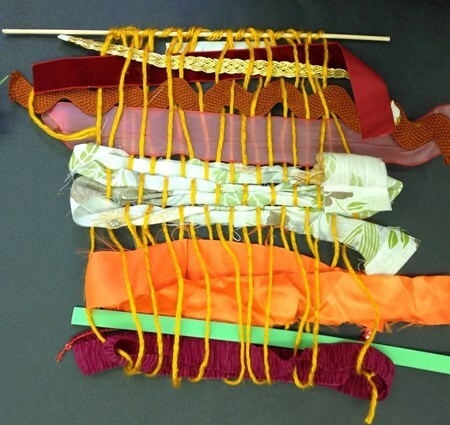 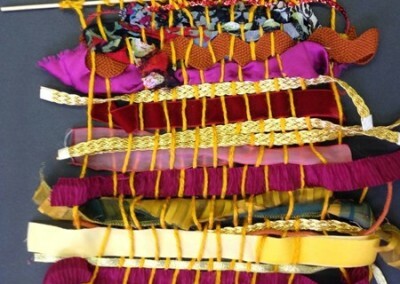 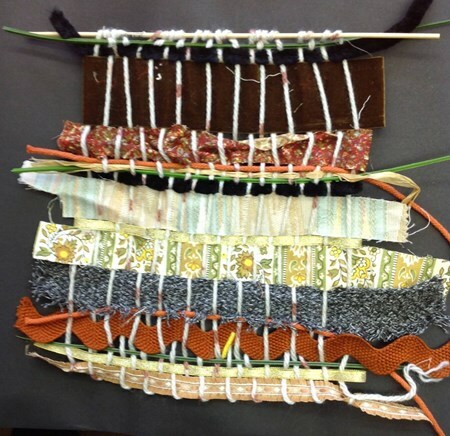 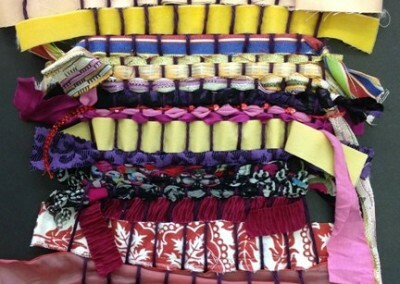 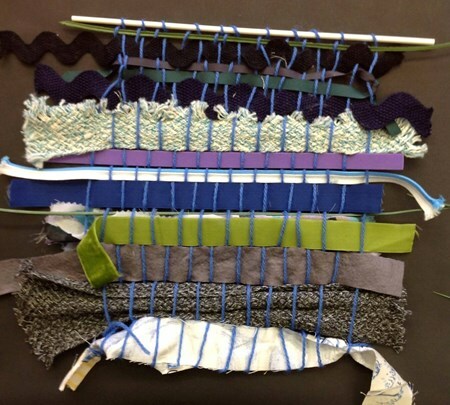 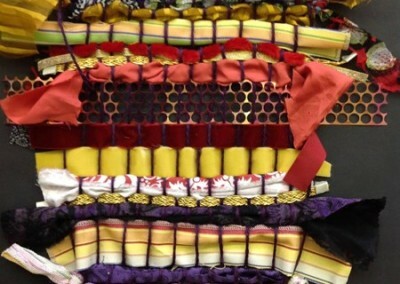 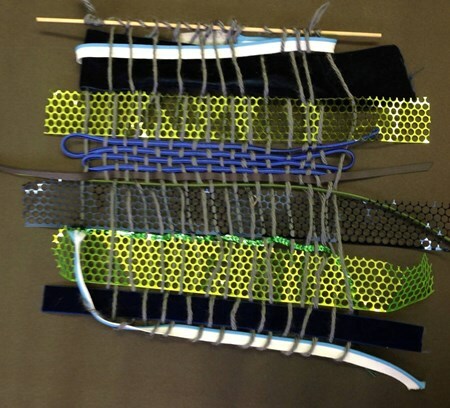 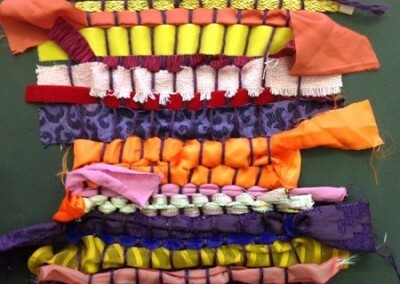 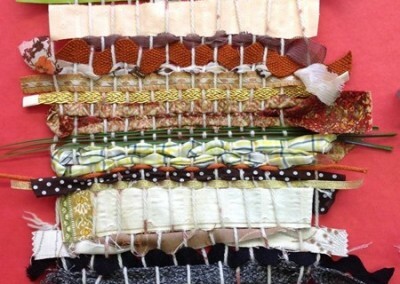 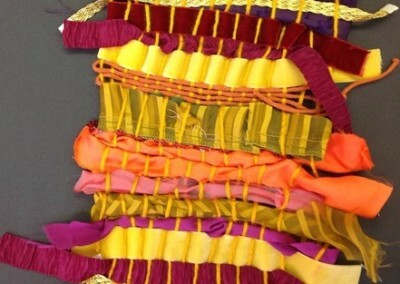 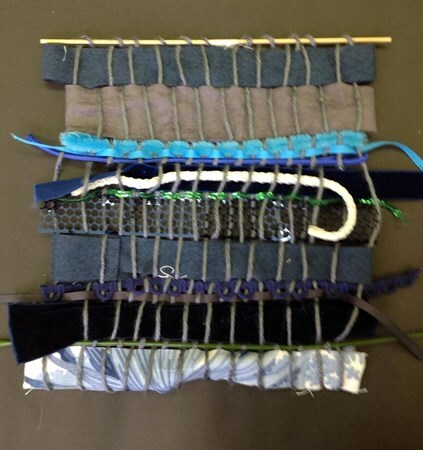 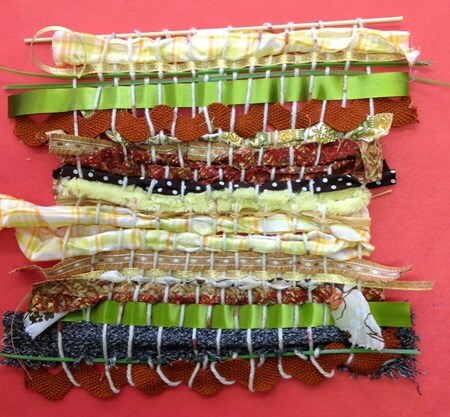 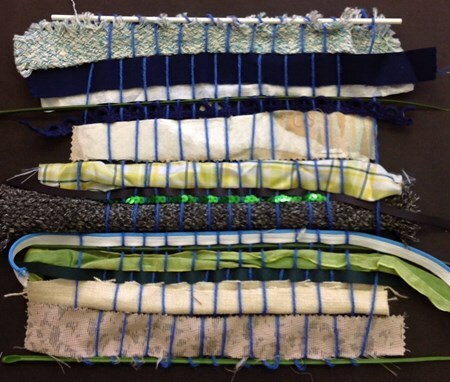 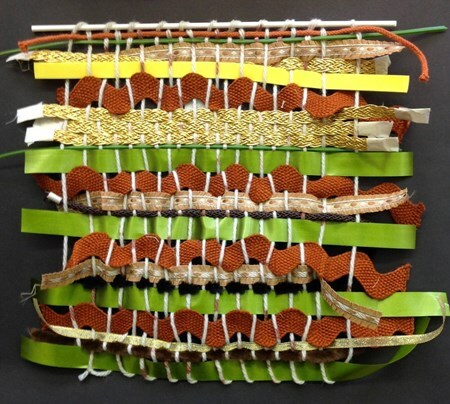 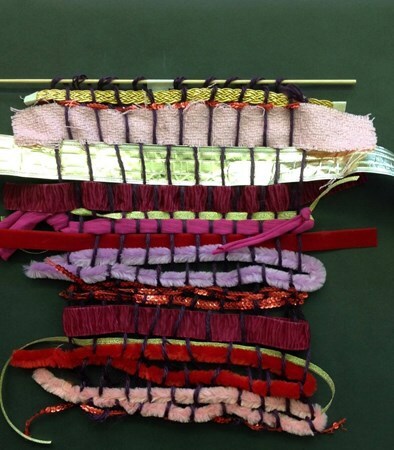 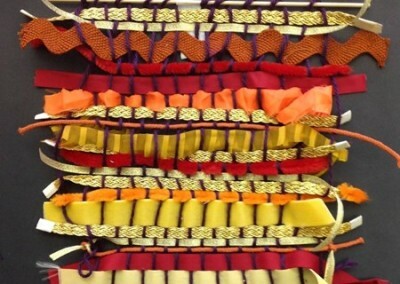 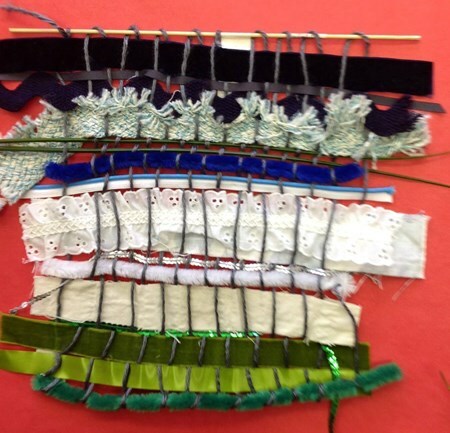 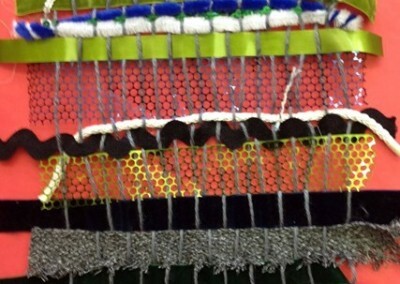 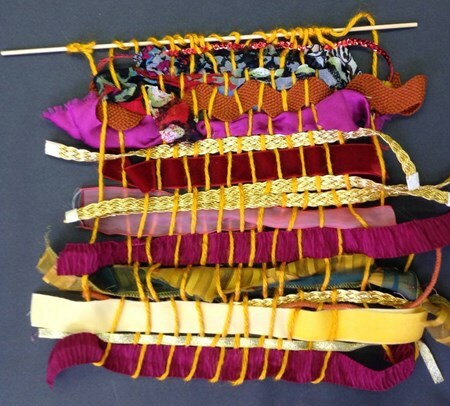 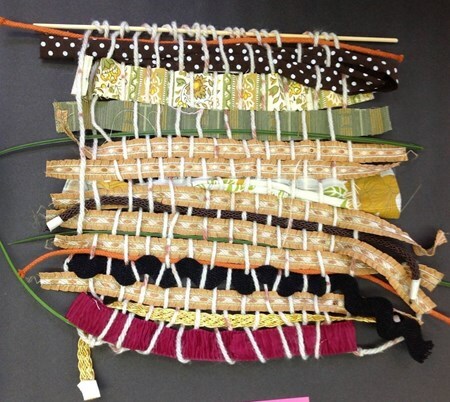 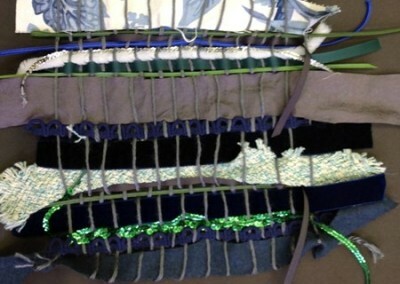 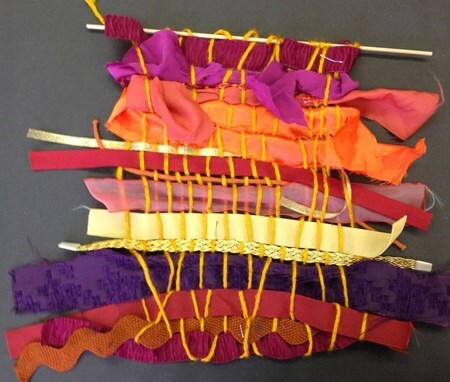 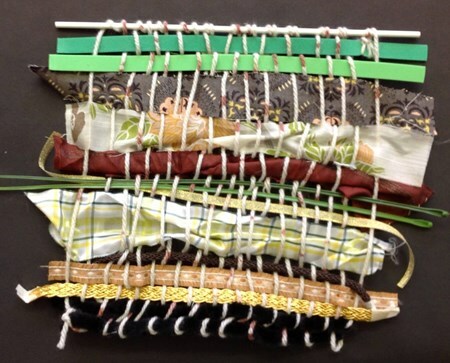 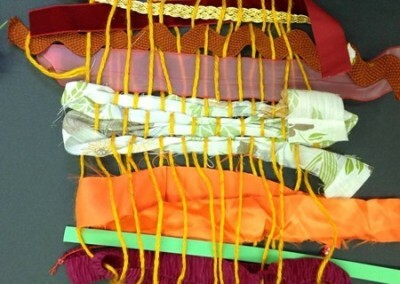 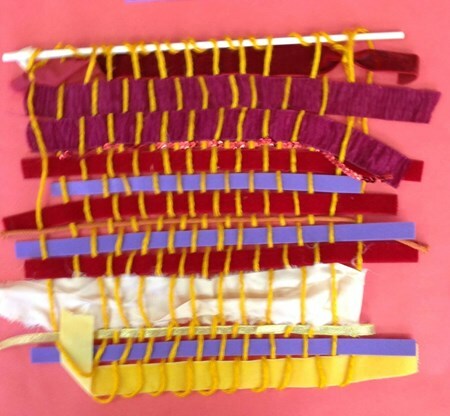 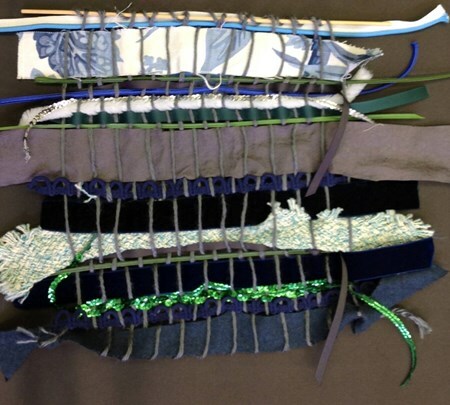 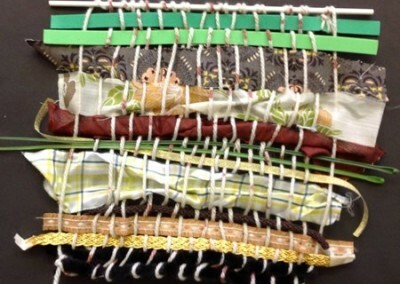 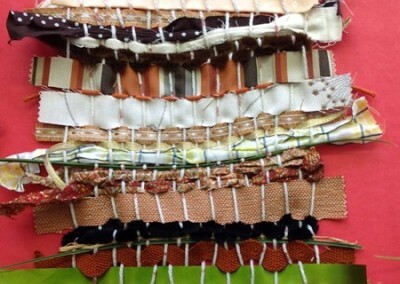 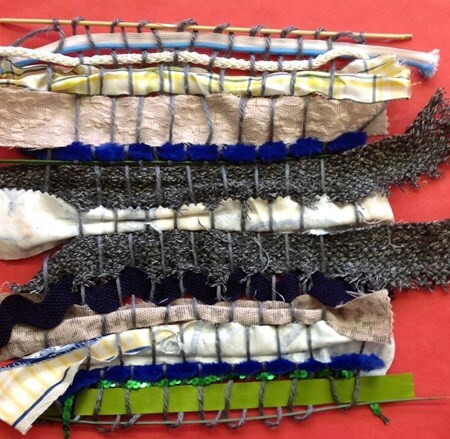 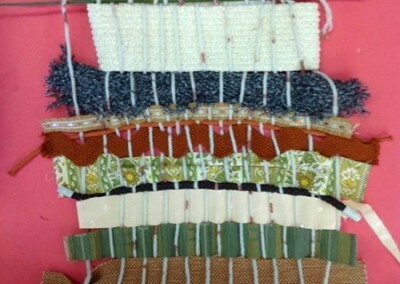 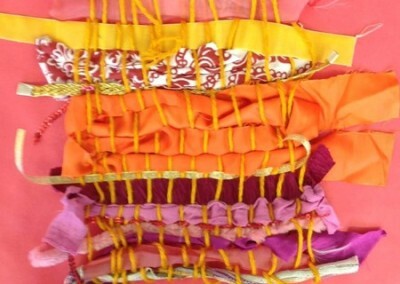 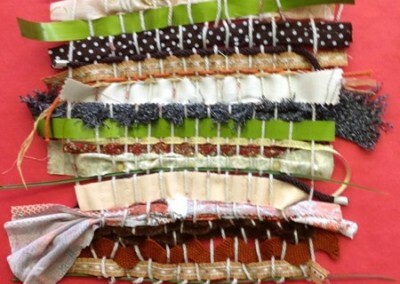 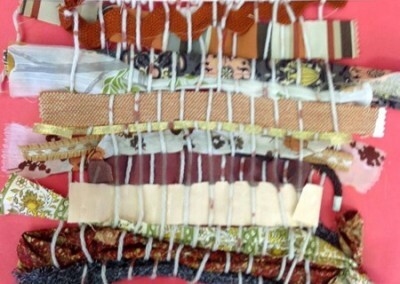 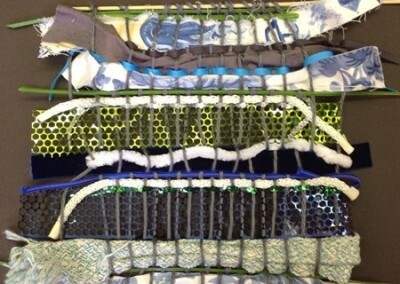 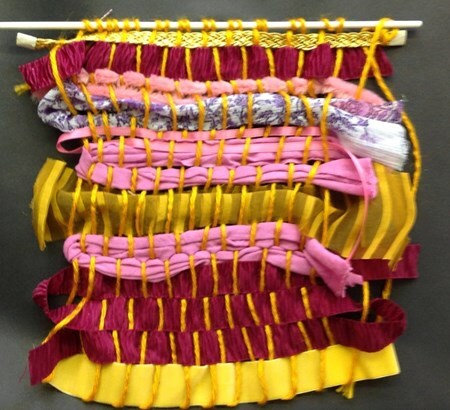 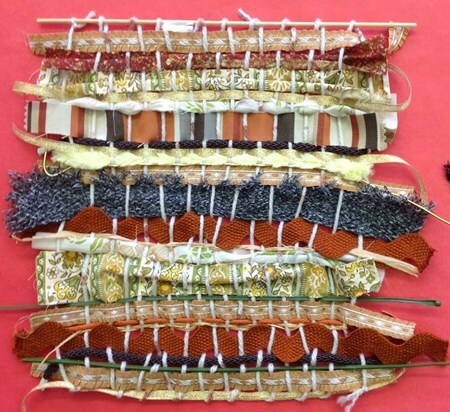 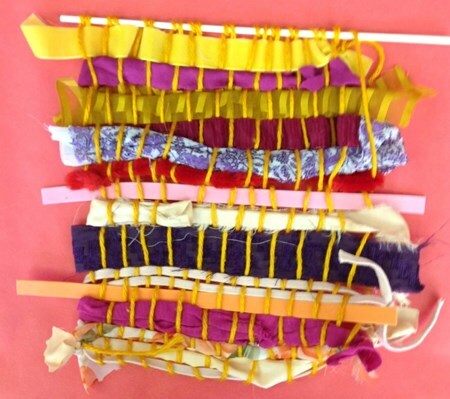 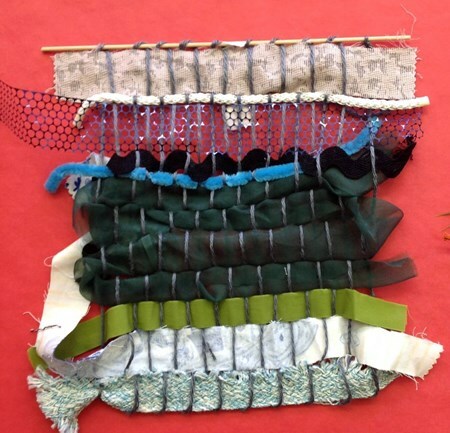 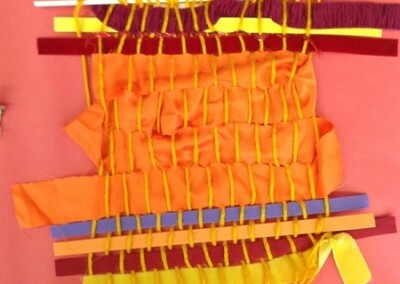 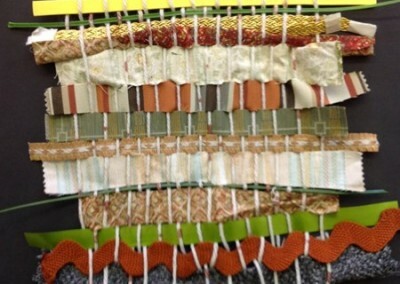 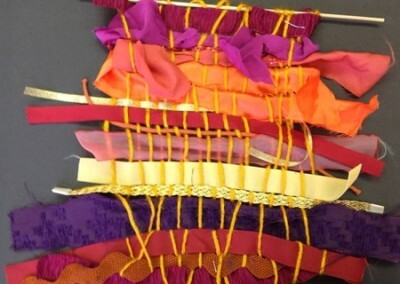 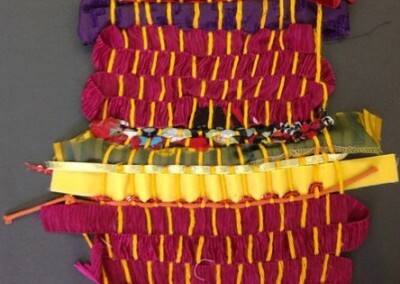 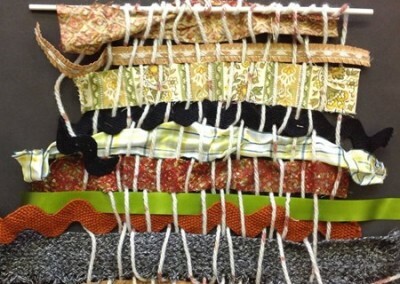 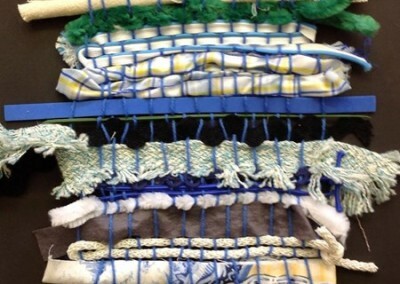 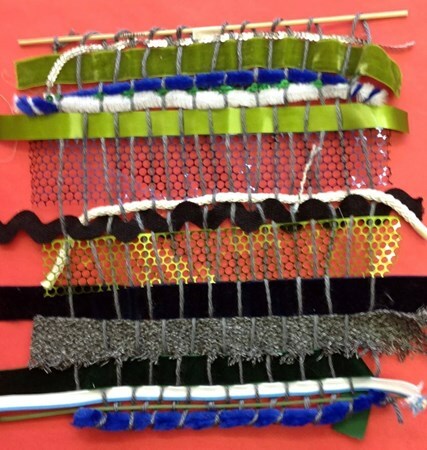 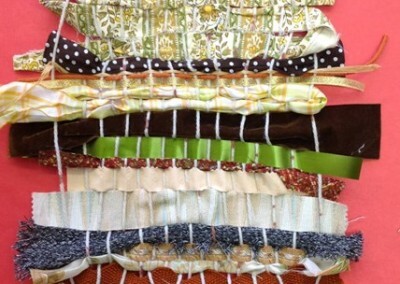 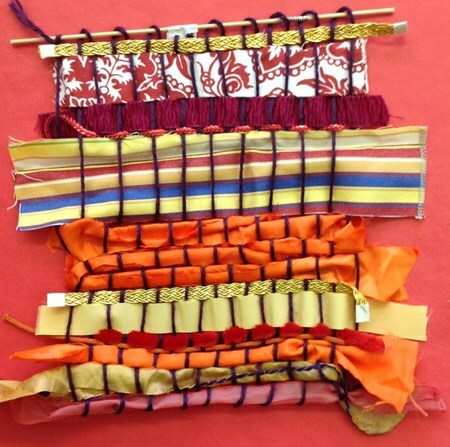 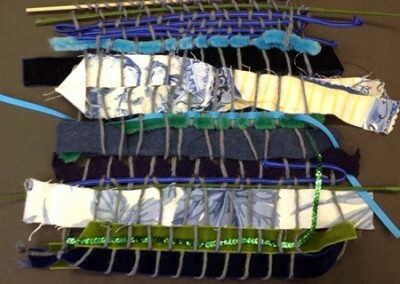 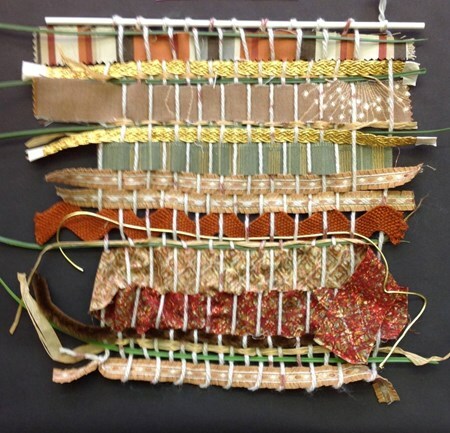 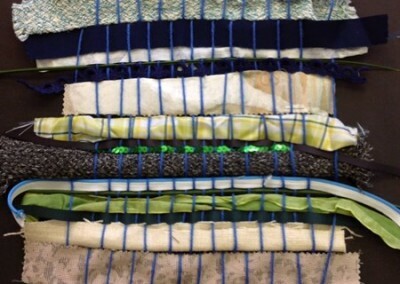 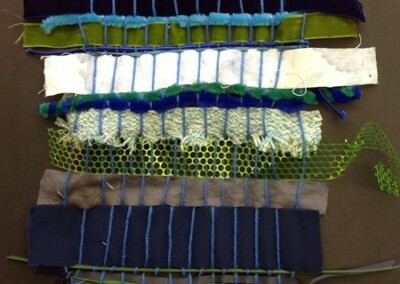 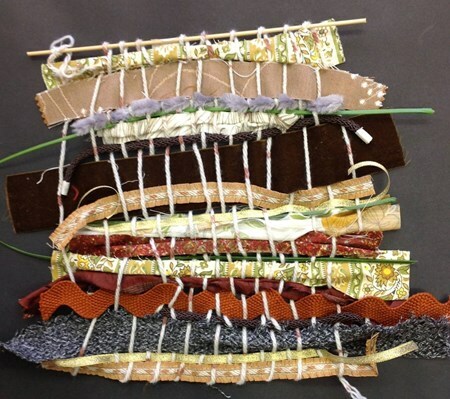 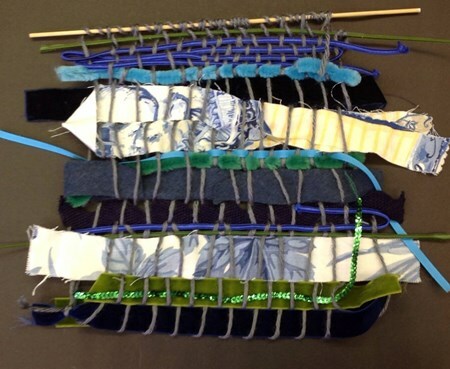 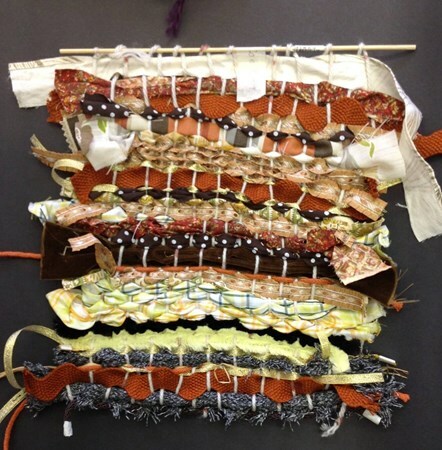 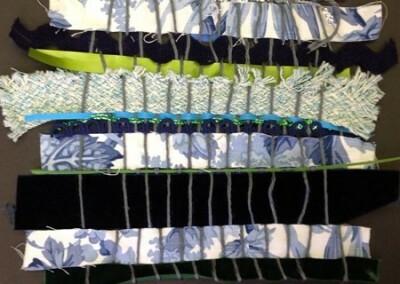 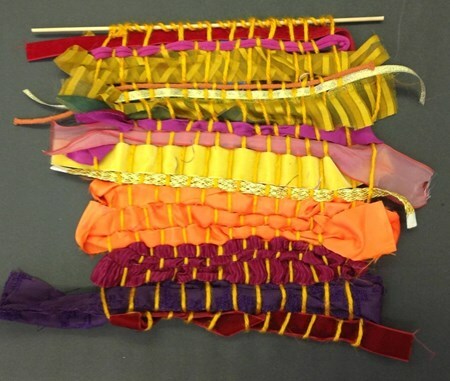 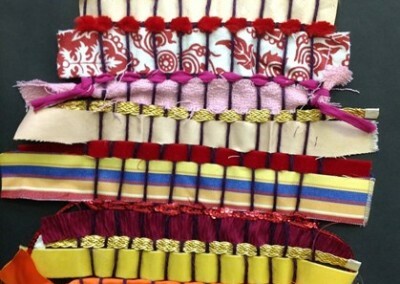 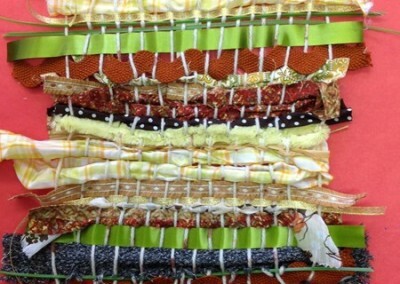 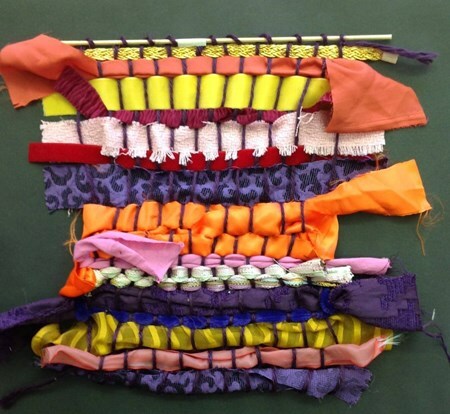 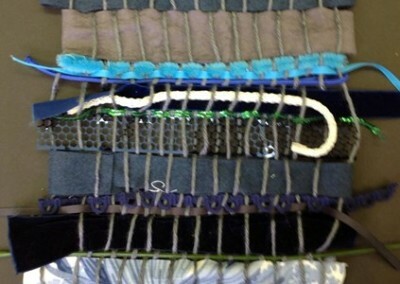 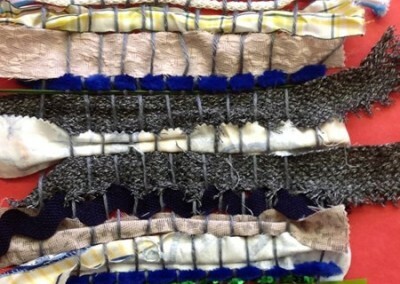 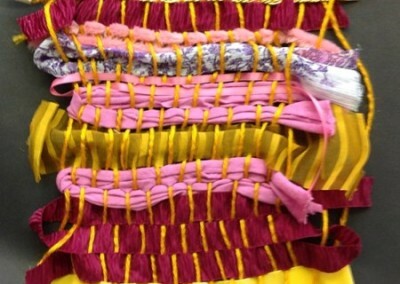 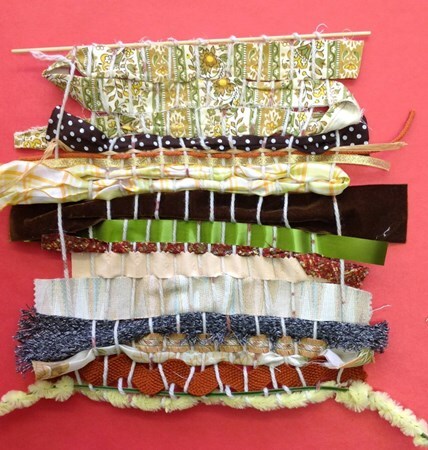 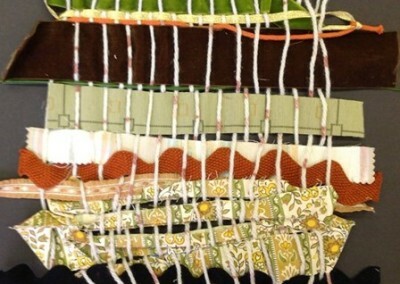 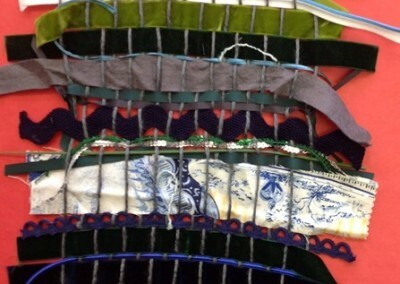 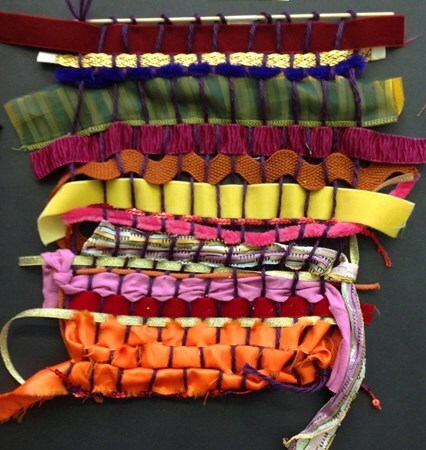 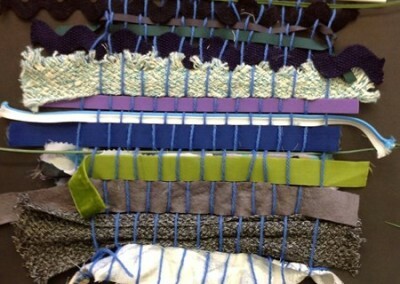 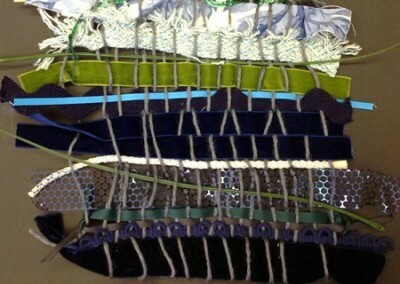 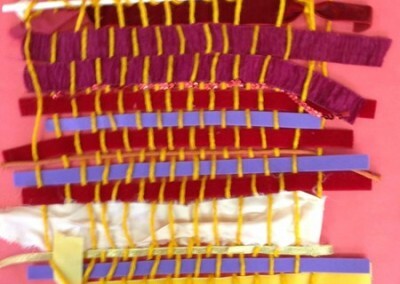 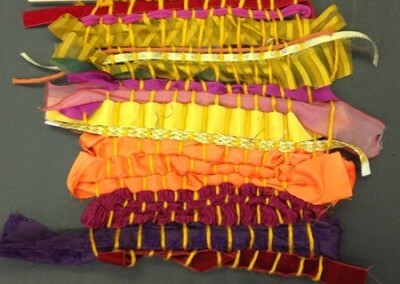 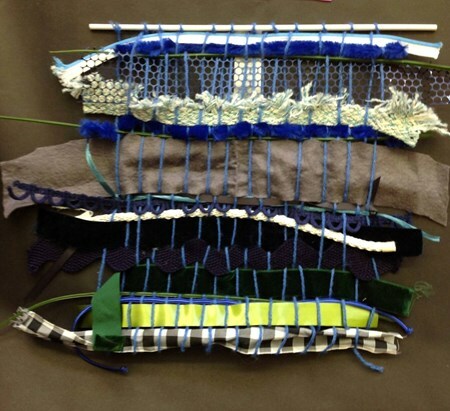 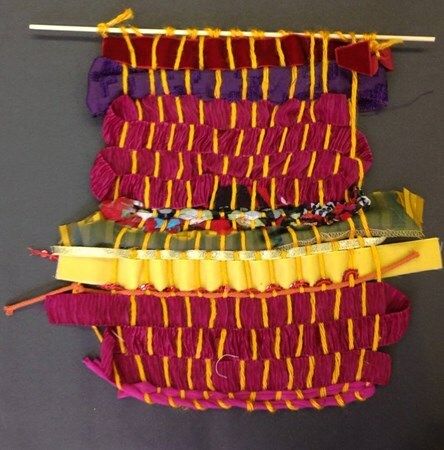 Each student chose the regional color palette they wanted to incorporate in their artwork as well as the materials used to create their weaving. 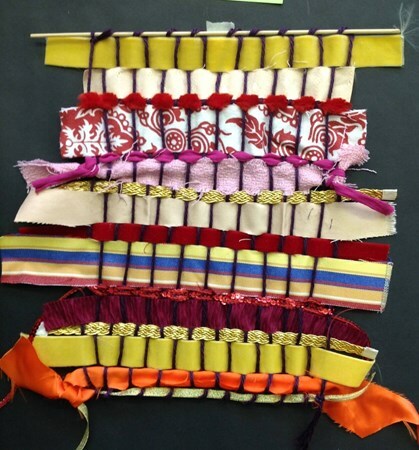 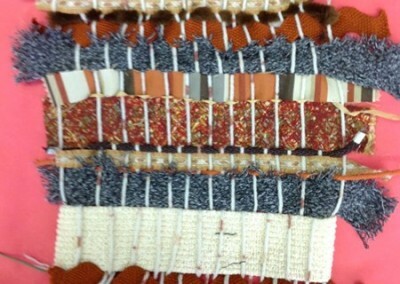 Some students created beautiful patterns, while others focused on mixing textures or colors. 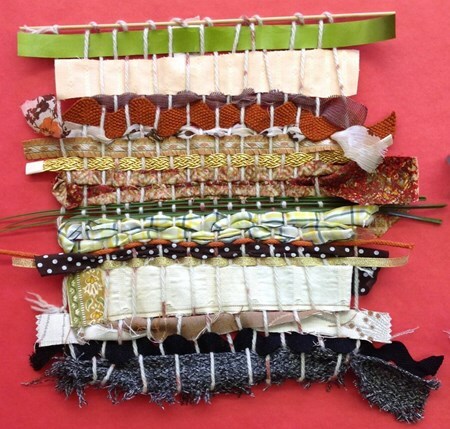 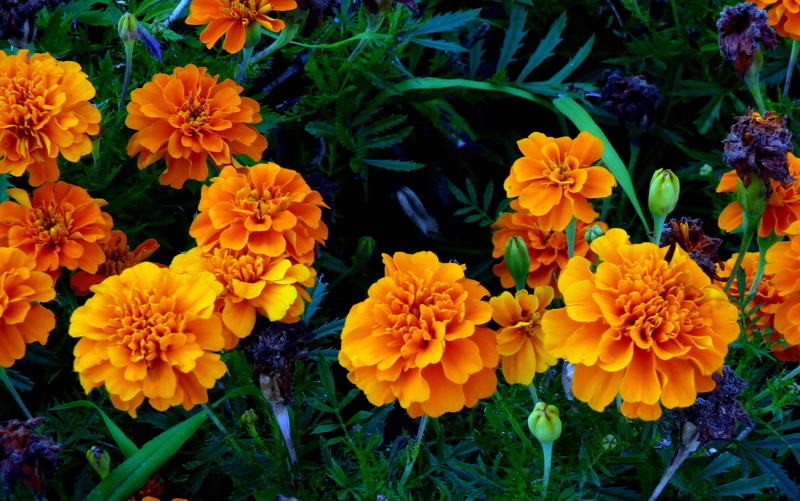 Assessments utilized in this lesson were both formal and informal in nature and included in-progress class and small group activities, writing exercises, and a final rubric, and self-assessment.